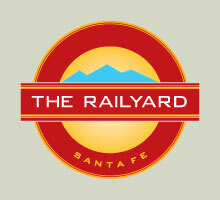 For an exciting world-class contemporary art experience, visit the hip new Railyard Arts District where ten galleries plus SITE Santa Fe boast the best in international contemporary art. Housed in spacious warehouse-style buildings, all within walking distance, the galleries include Box Gallery, Charlotte Jackson Fine Art, Gebert Contemporary, James Kelly Contemporary, Jay Etkin Gallery, LewAllen Galleries, Santa Fe Clay, Tai Gallery, William Siegal Gallery and Zane Bennett Contemporary Art as well as the internationally renown SITE Santa Fe art space. Galleries are open year-round and feature an Artwalk from 5 to 7pm the last Friday of every month.